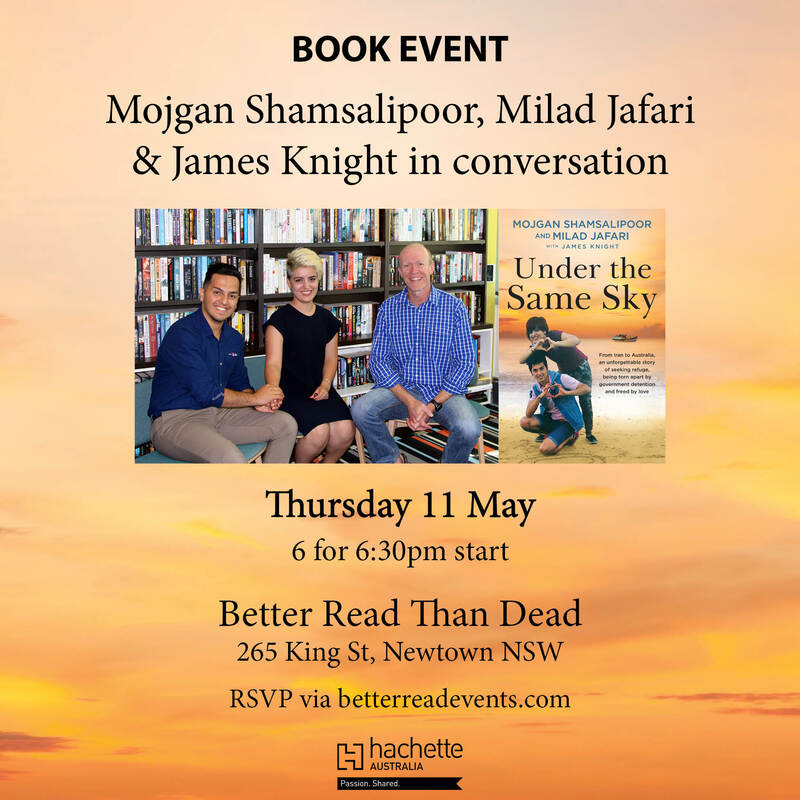 Under the Same Sky tells the incredible story of Milad Jafari & Mojgan Shamsalipoor two Iranian refugees who separately made their way to Australia by boat, where they met in Brisbane, fell in love and eventually married and made plans for their life here. Their dreams were shattered when Mojgan was sent back to detention and shuttled between Brisbane and Darwin. Her refugee status was denied and she and her brother Hossein were told they had to return to Iran, which meant prison, torture or death. For two years the Brisbane community and Mojgan’s former school teachers fought for her release. A campaign to Free Mojgan gained country-wide support and in September 2016, Mojgan was released. But since then her visa status has come up for review twice and each time she was only granted 3 month temporary bridging visas. There is no certainty for her, and no guarantee that she will be allowed to stay. Milad & Mojgan are now both in their early twenties and based in Brisbane. 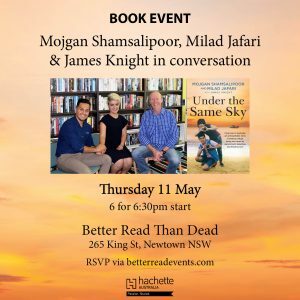 The recent changes to Mojgan’s visa mean that she will be able to remain in Australia until June, after which her visa will again be up for review.